But who is this so lowly laid? 'Tis he by whom the worlds were made. choose out a home so mean? and faithful toil through him be blessed. may sit and learn at Jesus' feet. may draw us evermore to thee. 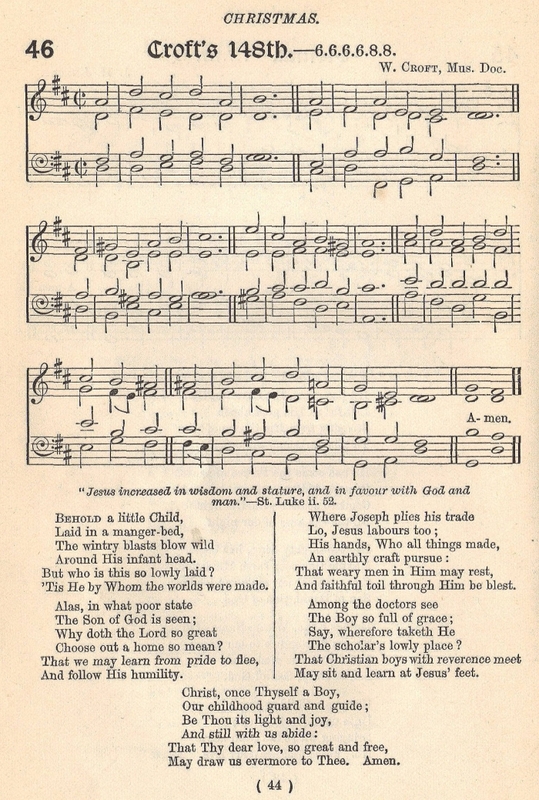 Sheet Music by W. Croft, "Croft's 148th," from Mary Palmer and John Farmer, eds., Church Sunday School Hymn-Book (London: Church of England Sunday-School Institute, 1892), #46.